Brother you have done a wonderful work. May Allah reward you with success here and after. I downloaded the first cd, but am unable to play it as it is not in the mp3 format as stated. No convertor is supporting this format. Can anyone tell me how to play it on the cd. Download Files are in ISO format. You need to write this into CD using any CD burning software like Nero. These files has MP3 as stated. Free Poker money - $50 bankrolls. Please help me to Get The same in Malayalam Language. You will be rewarded greatly by Allah, who give more and more to whom he wish with out any limits. 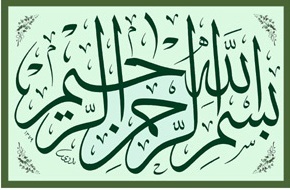 tafheemulquran is good work but i want more site about read learn tafseer of quran. thanks for such work GOD must reword u.. I would like to know the whether tafseer is in english language, if yes, kindly send me the link. We are a startup company and service providers as telecom VAS services. We are looking to get a voice for audio holy Quran to bring it to the people in the month of Ramzaan. Kindly get us links for the same. Thank you. Alhamd o lillah I comleted one time. But should be listening again and again in our life. During the Recitation of Quran Translation and Tafseer very carefully listening change our life. Inshaa Allah.